If you have any stories, information, articles, anything really about our people listed below, please send them in and it will form a part of their persona in death as we remembered them in life. Today 21 March we bid farewell at Pinneroo to Morrie Lehmann. Our sympathy to Brad and all the family at their loss of one of our special members, a Club singles champion, Club Treasurer, Chairman of Selectors, competition Sponsor and club mate and friend to everyone. He shared in memorable games, as photos will show. You will be missed Morrie, but we are glad your recent painful journey is now at rest. Rest In Peace mate . 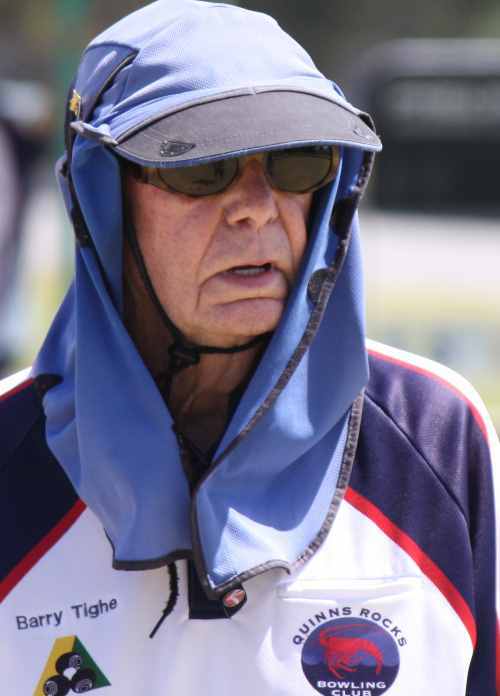 Long time Bassendean bowler Ray Patterson passed away peacefully the 9th March and the wake was held 20th March 2019. Brother of another long time Bassendean bowler Brad and Uncle to Stephen and Daniel amongst others. RIP Ray. The Western Australian and Australian Bowling community is mourning the loss of one of its finest administrators and people with the passing yesterday of Beryl Brennan. 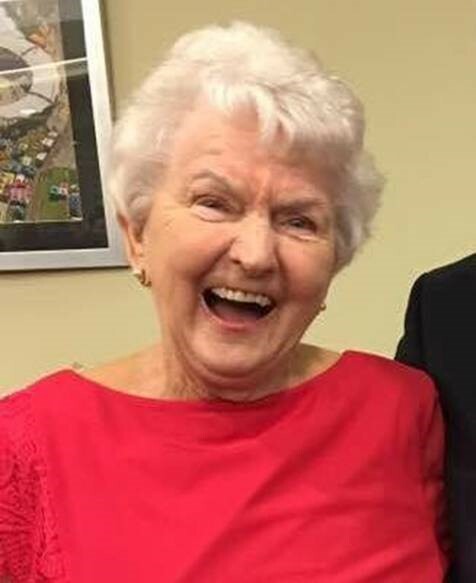 Above all Beryl was one of the nicest ladies you would ever wish to meet and her loss will be greatly felt by many around the country. I knew that Roger had been sick in recent months and with great sadness to say that yesterday he passed away from his illness. A great tribute by Clive on his Facebook page is a far better tribute to a man who was so supportive of Clive and his bowls, but I dare say just as much a supporter to Clive's Mum, brother and sister. Whenever Clive was playing in a state event, representing his state or even his club, Roger would be there for support and would always say hello, enquire about my health and my family but always with an eye on how Clive was going on the green. A wonderful man who will be truly missed. Peter Thomas from Scarborough passed away , he was a very loyal member of Scarborough and former 1 red player when Scarborough had 2 sides and were flying . He was a state selector , great accountant and a friend to many , too many good souls lost too early in this game . He really loved the game and was still a student of the game in his latter years ( he over analyses everything in bowls ) he loved young guys coming to play and happily gave up his position to help the younger guys grow and learn . He beat the late great Stewie Davies in his prime to win Scarborough’s club singles , Stewie was in the bar preparing for the final with a few beverages but Peter was sitting near the green , almost meditating and preparing a game plan . He thought if he could get the kitty off the line he would have a better chance of out drawing Stewie with the last couple of bowls each end . So he tried to trail kitty with his first two bowls and I gather it worked . G’day mate. Just read the Vale notice re Peter Thomas. I’m the Chaplain at Hollywood Hospital & met him in that capacity. Though v close to death he talked to me for ages about Bowls & had plenty of helpful things to pass on. Apparently a fine player in his day & an astute coach as well. Sad to see him die. 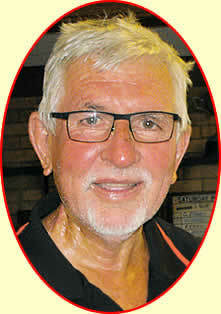 In my usual duties of working at the Mt Lawley Bowling Club I was saddened to hear of the passing of Alan Evans. He was a member of the club for 55 years, played mid week and Saturdays and conservatively played about 1800 games for the club. The service is being held today at the Mt Lawley Bowling Club. He joined the club in 1963 and stayed there ever since. He held countless positions on the committee, is a life member, a club champion, multiple club event winner, past president. The ultimate honour is to have a club medal named after you which he had at this club. Such loyal service is rare in this day and age and a credit to the man that he gave so much to club he loved. Just shocking news to hear of the tragic accident to Daniel - Danno - Puppy which unfortunately cost him his life. Only 28 years of age with the whole world at his feet. Words are very hard to describe what emotions would be around our WA bowls family at the moment, but the outpouring of emotion, love, pictures predominantly on Facebook shows how well loved he was, a vibrant personality, loved to laugh, loved to drink, cheeky but very loyal. On the green he was a fierce competititor and wanted to beat everyone he played, but always chatted and laughed off the green. It is hard to fathom the level of grief that must be felt by Lauren at the moment, and our heart goes out to her and their newly born son Cooper. Parents Brad and Jen, brother Steve and Uncle Ray, any other family members our sincerest condoloences at this tough time. Wednesday 29/8 10:30am Norfolk Chapel at Karrakatta cemetery. It is with great sadness to report the passing of Geoff Gunning. Known as 'Bubbles', he was a very friendly guy, passionate clubman, the sort of guy who would relinquish his spot first for the team. When the sides series was here a couple of years ago he filled in for the NT team and filled in with aplomb. He would always say hello and enquire about the family, always gave you a minute of his day. He was one of the worlds good guys, and we need more good guys in the world. His son Lee also a bowler at Mosman Park, out thoughts are with you and your family at this time. So sad to hear of Geoff's passing, greatly respected during my time at Wanneroo and no doubt ever since. A great bowler and a terrific person. Your comments are spot on Simon. It's been a while since we've seen Marcel playing bowls but anyone who played over 5 years ago or more would dread the name Marcel Heruer in their section, a fierce competitior and very tough to beat. Heruer instrumental in getting Bassendean their first promotion to Red as it was known then in the mid 90's. His beard and cigars/cigarettes familiar around the greens. It was with sadness we heard of his passing this week. Some people may remember Cos who has not played bowls for many years. He was a state champion in the Fours in 1989 playing as a 3rd to Doug Arrowsmith while representing Hollywood Subiaco. He was also a runner up in the Champion of Champion singles in 1985 and played for Stirling for many years in their Premier League side and I think also Osborne Park in their top side. If you have any stories to share about Cos please send them to me and I will post them up. It is with great sadness that we report our long time friend and respected Bowler Barry Tighe has passed away on Saturday the 3rd February. Barry was a great supporter of Quinn’s and always had a smile on his face when he was bowling. His love of the game and his advice will be sadly missed by all that came into contact with him. His service to the club of 17 Years as a player, teammate and his jokes will long be treasured and remembered. The news the Perth bowls community has been dreading came through today with the passing of Ros Slavich overnight. A nicer person in bowls you would not meet. Every time I played in a state event or in pennants at Doubleview or Stirling, Ros was there either supporting Danny, John or Charlie, always with a smile, friendly and happy to have a chat to you, but always focussed on the bowls that her family was playing at the time. Even with her declining health she was smiling and saying hello. When you bowled in the Stirling carnivals, there was Ros helping out in the kitchen and around the club. She will be sadly missed, our thoughts go out to the whole Slavich family on this very sad occasion. RIP. Having been involved with the Internations Bowls Club for thirty years I cannot remember a time when Ros wasn't involved - a mens only carnival, Ros was always helping and supporting, when we had the Saturday night dinners it was Ros who decorated the tables and inflated the balloons. It was always Ros who looked after the contributions and money of the Yugoslav side, her demeanour was infectious. Sadly Barry Fleetwood lost his battle with cancer yesterday, a current member of Rossmoyne and previous life member of Melville, not sure of any other clubs he bowled at previously. Funeral arrangements if known will be shown here, if anyone would like to let me know about Barry then please send me a message. Thanks to George Beacroft for passing this on to me, 90 year old Bob Williams passed away peacefully recently and it sounds like he is a man who has achieved a bit in WA bowls but someone not many people would know. This from the Bowls WA website - A WA State Representative Williams was twice crowned as the Men’s Outstanding Bowler of the Year winning the Rosenthal Medal in 1965 and 1976. Nationally he finished third in the Australian Pairs in 1972. Within WA he won the coveted State Singles in 1965 and the Champion of Club Champion Singles in 1976 and 1977. For his achievements Bob Williams was inducted into the Bowls WA Hall of Fame in 2010. During his great career he was a member of the Mosman Park Bowling Club and Rossmoyne Bowling Clubs. The bowls world has lost a larger than life figure when Greg Kane passed away overnight. Tributes are flowing on Facebook which I won't copy here but his personality and competitive spirit has touched many throughout our small bowls community. I always enjoyed playing against him because you always knew you were up for a good game, and when you bowled well he always acknowledged it. Not only competitive but also played in great humour, which is really how bowls should be played - spirited and competitive but fun and enjoyable. RIP Greg, you will be greatly missed. Greg will be sadly missed by not only his family, the members of the Cambridge Bowling Club,but a huge amount of people that he touched over many years, as well as the Bowling fraternity. He has been the heart and soul of the Cambridge Bowling Club over many years and is a Life Member of the Club. Greg's family will be hosting a celebration of Greg's life from 4pm next Friday 29th September at the Cambridge Bowling Club for those who would like to call for a drink. And, yes, you guessed it - Greg's last bet was a winner!! A much loved Alma Dempsey has passed away peacefully at her home on the 14th, wife of Mel and mother to Glenda, Mal, Ross and Stephen. Funeral arrangements will be posted once they become known. In loving memory of Alma Dempsey who passed away with grace, dignity and elegance on 14 September 2017. Her smiling face continued right to the end. A recent passing of a Melville member George Briars should be worthy of recognition in my opinion. 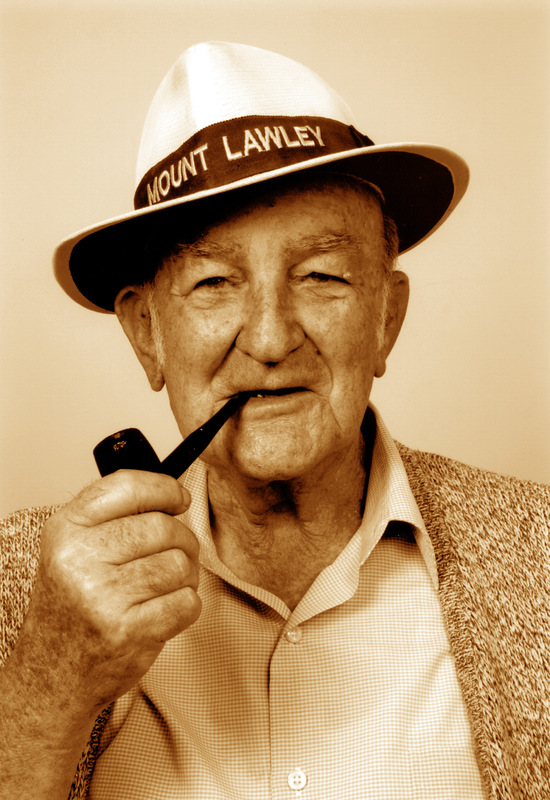 A former member of Fremantle, George never made it to the upper level of bowls, but, an absolute gentleman both on and off the green, he was one of the "old school" of sportsmen. He never made a point of it, but, from memory, was a navigator on Lanc's during world war 2.Every Anzac Day, or the nearest Saturday to it I used to buy He, and any other ex sevice guys of that era a beer as a thank you for what we enjoy today. I don't know many details yet but did hear of the passing of Bill Brown, he could be a grumpy bugger but had a heart of gold and did all he could for the Innaloo club over the years, sad to hear of his passing. Details about funeral arrangements will be posted when known. I didn't know Rod Wishart but of course know Graeme, and our thoughts are to him and all the Wishart family members. Rod served for many years as State selector and also Victoria Park committee member in a variety of roles over the years, he gave everything for the betterment of bowls at his club and his state, I'm sure we'll hear more from Bowls WA about his service to them and from Bowls Australia soon. Very sad to see Rod pass, I worked under him for a number of years as a Greens-keeper. He made some tough decisions. At Vic Park he closed 4 greens for 10 weeks so i could fix them and stood by me. He was a genuine fella and will be greatly missed. Pat Aungier was someone who loved her bowls and watching her husband Peter and son Scott play bowls as well. She was a consistent contributor to Sherro's website with how to make the game better, and generally it was always along the lines of working together to improve conditions and improve the game. Pat had been battling ill health for a while but true to her fighting spirit staved off the cancer for years until it finally took her yesterday. She will be greatly missed around the greens. 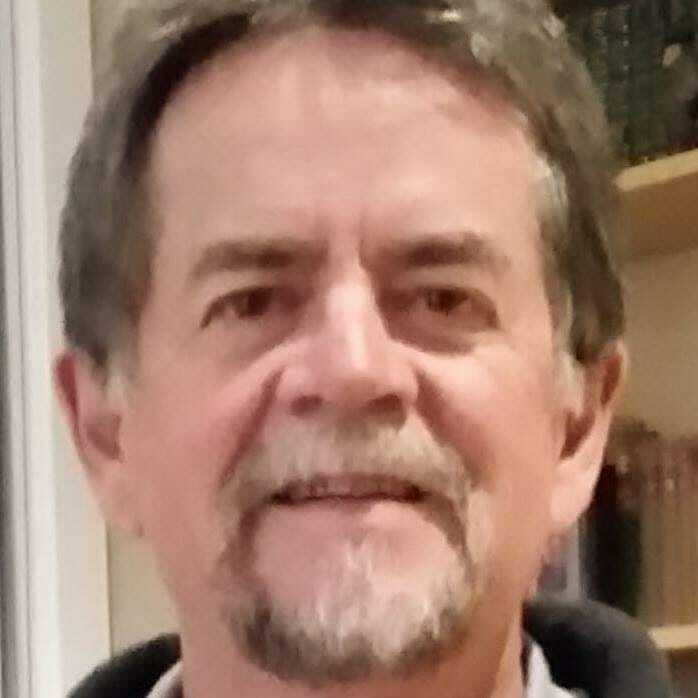 Anyone who has been a member of the Bassendean Bowling will be familiar with Mike Bisby as he lost his long fight with cancer on Sunday. From what I can gather he was someone who served our country with distinction and honour and has been a member and bowler at Bassendean for well over 20 years. Bob passed away peacefully and was a club stalwart for many years at Morley. More information about Bob would be greatly appreciated. Bob was a made baseball man and was a life member of the Morley Eagles baseball club. Decided to take up bowls ten years or so ago. He was quite a good bowler and was a regular 3rd division skipper. A great bloke to have around the club. It is with a heavy heart we announce the passing of Innaloo stalwart Wally Stevens. Not sure of the circumstances surrounding his passing but it occurred on Saturday at some time. Wally was still playing in the Innaloo top side last season and as usual disappeared for the Winter to prepare for next season. He was still chucking down some great bowls so this has come as a huge surprise, despite being over 80 years of age.